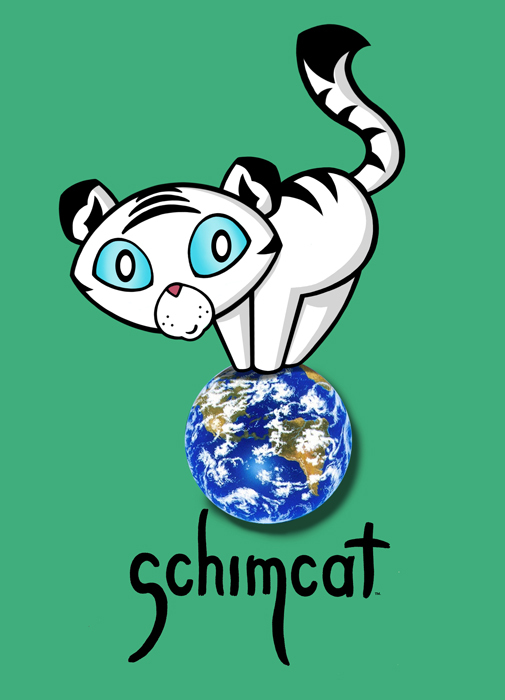 Schimcat is an animated character based on the original art of Schim Schimmel. As a world renowned environmental artist, Schimmel has devoted his work to his message of global conservation. Inspired by his art, Stephen Reis and Tricia Buchanan-Benson developed Schimcat as an ambassador for Schimmel’s message of greener living.